A federal judge has blocked the start of grizzly bear hunting seasons for another two weeks while he finishes a ruling on the legality of ending Endangered Species Act protection for bears around Yellowstone National Park. The order blocked the first half of Wyoming’s first grizzly hunt in four decades, which was to begin on Sept. 1. A second phase of the hunting season in areas close to Yellowstone and Grand Teton national parks was set to start on Saturday. The U.S. Fish and Wildlife Service declared grizzly bears in the 9,209-square-mile Greater Yellowstone Ecosystem (GYE) of Montana, Wyoming and Idaho recovered in 2017. That passed management of those grizzlies to state wildlife agencies. Idaho and Wyoming officials set grizzly hunting seasons for this fall. Montana’s Fish and Wildlife Commission anticipated legal challenges and opted to delay a hunt decision. 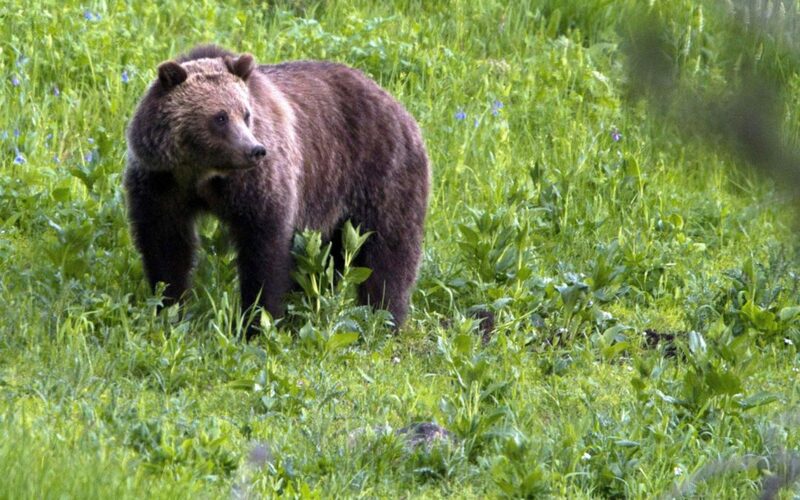 A coalition of environmentalists, conservation groups and Indian tribes sued the federal government, arguing it had failed in many ways to prove the estimated 750 bears in the GYE could persist under state agency management, or to show the delisting wouldn’t damage survival prospects for grizzlies in five other recovery zones. Lawyers for the federal government, states and several hunting organizations countered that the Greater Yellowstone population had met all the recovery requirements in the law, and hunting seasons were needed to reassure local residents that they would be kept safe from predatory bears. Christensen wrote that his restraining order was different from a temporary or permanent injunction on the delisting. “The present extension will provide the court the time it needs to fully consider and respond to the parties’ arguments,” he wrote. Temporary extensions typically aren’t argued by both sides and cannot be appealed. The order has no effect on a separate effort by the Fish and Wildlife Service to delist grizzlies in Montana’s Northern Continental Divide Ecosytem. The 16,000-square mile NCDE includes Glacier National Park, the Mission Mountain and Bob Marshall Wilderness areas and parts of the Flathead and Blackfeet Indian reservations, and holds about 1,050 grizzlies. FWS has proposed delisting those bears by the end of 2018.